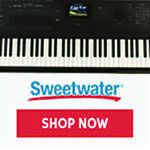 Register Log In Piano World Home Page Forums Piano Forum Should I buy a Kohler and Campbell? 66 registered members (BigIslandGuy, akc42, agraffe, Charles Cohen, atcsam, 7uturu, AprilE, Animisha, 14 invisible), 885 guests, and 3 spiders. Lisared--I believe the Fine list price is correct, and you really should be able to get that piano brand NEW, never rented out, for at least 20% below list! Stick to your guns on this one, call out the dealer for inflating the list price to you, and then tell them what you are willing to pay! 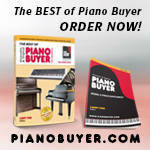 If it is the right piano for you, everything will be cleared out of the way for it to happen. Keep in mind that Larry Fine is a guy that used to make his living as a piano technician and now has discovered a much more lucrative occupation as a writer and publisher. The comments in his book are not absolute facts, as some here on the PW forums would believe, but merely his opinions, and the opinions of a dozen or so technician/rebuilder types that he collaborates with. Like any other opinion you will find here, Larry's statements are just that, opinions. Jazzbo, I'm afraid I disagree with your characterization of Larry and his methods. I met him when I was in the Boston PTG Chapter. He had to set up his own publishing company to put out his books, and it only produces his two: The Piano Book and the Annual Supplement. Since the main book hasn't been updated for five years, I doubt very much that publishing is that lucrative (it's #12,457 on Amazon). Larry takes pains to describe his methods, and is open about the problems of evaluating pianos (see "The Myth of Objectivity" on p.76). The main book's results are based on 1300 opinions, not a few dozen. 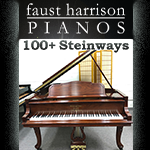 While Larry's own opinions feature strongly in both books, they are based on his 20+ years of producing The Piano Book, including more factory visits than even AJB. And bias doesn't benefit him; the less objective the book, the less it will sell. Of all the opinions expressed here (including my own), I rate his among the most credible.